Like the inception of this contemporary city, the convergence of two rivers into one, Kuala Lumpur is where the best of Malaysia’s cultures assimilate in a harmonious fashion; making this cosmopolitan one of the best cities in Southeast Asia. KL has the nation’s best entertainment hotspots, highlights its diverse food culture and is the center point to many tourist attractions. The lively ambiance of the city is further elevated by year round festive celebrations of the many races of the nation. Malaysia is a great place to visit all year round, our equatorial climate calls for tropic hot and humid weather with temperatures averaging approximately at 21ºC to 32ºC (58°F - 89°F ). KL has wetter periods in months of April - October where short thunderstorms are expected in afternoons or the evenings but are welcomed by locals as it aids in cooling off the tropical climate. A proud country for its well integrated multicultural society, Malaysia is especially exciting to visit during months of festivities. Tourists can expect major malls and entertainment hubs to be lavishly decorated according to the celebration of the month, be it Raya Aidilfitri, Christmas time, Chinese New Year or Deepavali. Malaysia loves to celebrate the diversity of her people. Besides that, tourists could also look forward to the mega sales held extensively in anticipation of these festivities, and who doesn’t love a good (sometimes great) bargain really? Note: Dates for these festivals do differ annually as Muslim and Chinese celebrations adhere to their respective lunar Calendars. The Petronas Twin Towers is a great place to start your sightseeing around Kuala Lumpur. Located at the center of the city, these are the tallest twin skyscrapers in the world and dwarf every building around them. Looking up from below, gazers can’t help but to feel amazed by the sheer size of these Islamic-motif inspired buildings. Visitors can buy tickets to the spectacular views up from the 42nd floor Sky bridge and the even more breathtaking 87th-floor viewing deck. At the base of the towers there is the Suria KLCC shopping mall where shoppers would be pleased by its collection of mid-level to high-end shops, out on the front of the mall sits a beautiful public park where tourists can enjoy some greenery in the city or bring kids to cool off at the public pool and fountains, and in its underground tunnel, travelers can find the LRT (Light Rail Transit) allowing visitors to travel to and from other tourist attractions around the area. Bukit Bintang is the oldest and most popular shopping haven in Malaysia. Comprising of streets lined with shopping complexes, boutiques, clubs and bars, it is also known as the fashion and entertainment epicenter of Kuala Lumpur. It is also home to one of the biggest shopping malls in the world, Berjaya Times Square, that, believe it or not, has a dedicated theme park inside complete with an indoor roller coaster. Visitors can get to Bukit Bintang by the KLCC pedestrian walkway, a 1.17 km (1 mi) air-conditioned walkway from KLCC, that connects both of these popular destinations. Take the LRT to this cultural market in the heart of the city (Stop at Pasar Seni Station). It’s considered a heritage building with its interior divided into different zones according to major races in Malaysia. This deliberate planning is to let visitors get an insight into the diverse cultures living harmoniously in Malaysia. Local arts and crafts are sold here and are perfect for souvenirs and memorabilia of your visit to our humble nation! After a busy day exploring the busy streets of KL, you might want to sit down and have a drink or two in town. Well, at the Heli Lounge Bar, you’d actually be unwinding with a drink in hand, above the town! The Heli Lounge Bar offers guests designer drinks or a glass of wine with a magnificent panoramic view of the KL Skyline on a helipad. It’s definitely a great place to end your first day in the city. A good Malaysian breakfast can really set the momentum for your day. I’d suggest for you to walk to Nasi Kandar Pelita (across from KLCC) and order yourself a serving of Roti Telur Bawang (Flatbread with egg and onions) and a hot frothy glass of teh tarik (pulled tea). Other Malaysian breakfast staples here include: Nasi Lemak, Roti Kosong (Plain flat bread), Roti Pisang (Banana flatbread) or a set of half-boiled eggs with Roti Bakar (Toast spread with butter and coconut jam). A good bet to sample some authentic local food would be at Madam Kwan’s in Suria KLCC. It offers a wide array of Malaysian cuisines in a comfortable restaurant setting, away from the tropical heat. Any one item on the menu would satisfy your taste buds, but a local favourite would be their Nasi Lemak and Nasi Bojari (tri-coloured rice served with Assam prawns, Chicken Curry, Beef Rendang & Otak-Otak). Address: Lot K43B , Level 4, Suria KLCC, Kuala Lumpur City Centre, 50088 Kuala Lumpur. To get a true experience of everyday Malaysian dining culture, you should get your dinner at Jalan Alor in Bukit Bintang. It’s a Malaysian food haven. Popular to both tourists and locals, you can find great local hawker stall dishes here. I’d suggest you find yourself some Satay (Chicken/Beef Skewers), maybe sample some Hokkien Mee and Salted Egg Fried Squid. But, a trip to Jalan Alor wouldn’t be complete without gorging down some sticky chicken wings from Restoran Wong Ah Wah! This culinary trail in Kuala Lumpur will satisfy your food cravings. This walking food tour will guide you to some of the narrow valleys and hidden backstreets of Kuala Lumpur and its suburbs. This fully interactive tour will take you to Brickfields, a neighborhood with an Indian influence. Here you can sample Indian dishes that are served on banana leaves. Sweet banana fritter and gulab jamun are served for dessert. After savoring Indian food, its time to head to China town and tuck in authentic Chinese noodles. The tour ends at a coffee house, where you can sit back and take a breather. This is your best time to take recommendations from your tour guide about other places of interest you can visit and where to do for dinner. Duration: around 3.5 hours required. Batu Caves is a temple situated inside a huge limestone cave. Visitors would be at awe staring at the giant golden statue of Lord Murugan at the entrance steps of the cave. Everyone is allowed to explore the caves and temples inside as long as they’re modestly dressed. I suggest going early in the morning to escape the afternoon heat. Festival: During Thaipusam, Batu Caves and its surrounding areas would be crowded with thousands of devotees attempting to climb the steps while lifting impressively decorated and huge structures (called Kavadi Attam) and other offerings to their Lord Murugan, the Hindu God of War. This is to show their devotion and bring peace and good luck to their lives and family. The Malaysian Islamic Art Museum is one of the best museums you can visit in Asia. It ranked number 10 consecutively in the years of 2014 and 2015 on TripAdvisor. Here, you can learn about the local and international growth of Islam through its extensive exhibits and art galleries. It truly is a great eye opener to see the influence Islam has on the world. You could take a train and take a stroll through the streets of KL, and see some of its historical sites and colonial era buildings. It doesn’t take long to visit as most of them are close to each other and it is a great way to learn more about the background of the country and admire the architecture. Places you should check off your list would include the Merdeka Square, Masjid Jamek (one of KLs main mosques), the KL railway station and Panggung Bandaraya DBKL building. To end your second day in KL, check out No Black Tie, said to be “Asia’s best Jazz Bar”. This bar entertains its guest to various local and international jazz and acoustic performances of the growing music scene in Malaysia. This is what a typical Malaysian breakfast looks like. In the morning, you should walk around the streets of KL to find the busiest nasi lemak vendor on the street corner. There are loads of them all scattered around the city. The chances are, if the stall is crowded, you probably can get the best tasting nasi lemak from there, often times you can get them for as low as RM1 per pack! This restaurant is a bit far off from the city center, you’ll need to take a 15-minute car ride from KLCC via Jalan Tun Razak, but it’s definitely worth the trip. Here you can get the most authentic and highly praised Malaysian Nasi Kandar. The restaurant found its fame in the state of Penang. Malaysians used to travel all the way up north just to sample its famed curry cuisines. Just goes to show how great the food here is! Chinatown Petaling Street, located about 400 meters west of Pasar Seni (5 minutes walk) is another popular street food hub in Malaysia. Here, visitors get to taste some of the most delicious Chinese hawker stall foods. Popular dishes here include Hokkien Mee, Chee Cheong Fun, Wantan Mee, Beef Noodles, Yong Tau Foo. Perdana Botanical Gardens provides a great break for the working locals from the rat race in the city. A picnic in the gardens is definitely a great way to end your stay here in Kuala Lumpur as you’d get to enjoy the serene beauty of mother nature, as well as people gazing at the everyday culture of Malaysian locals. 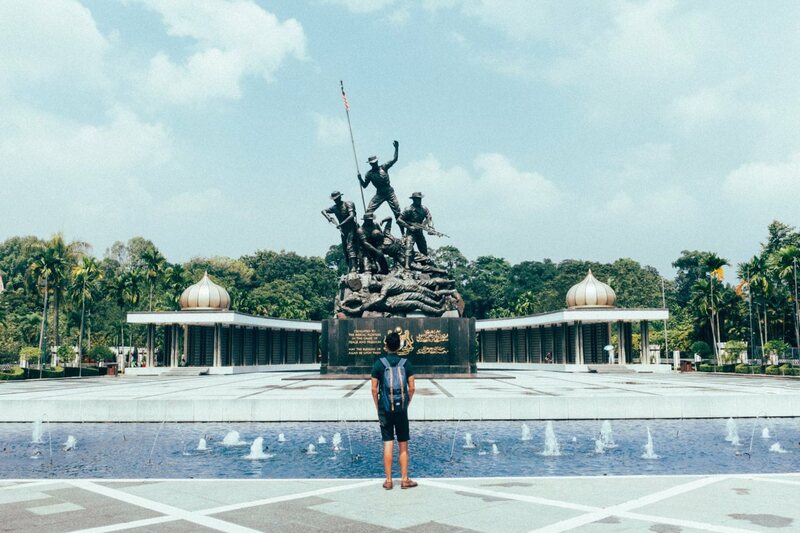 Besides that, you could also end your trip by visiting the national monument, Tugu Negara, in the park. This huge National Monument is a sculpture created to commemorate the lives of those who died in Malaysia’s struggle for freedom. Local insight: You would definitely see groups of aunties (elderly women) doing tai chi on the grass clearings of the park. It’s abnormal if you don’t. The Perdana Botanical Garden also has a few parks within its huge vicinity, but we’d recommend to anyone to visit its amazing Bird Park, especially to families. This big bird park is divided into several sections to keep the different species of birds in its own unique ecosystem, but these colourful creatures are free to fly around their respective vicinity. Bird shows and even feeding sessions for eagles, hornbills and ostriches are some of the attractions of the park, so kids would definitely get an up-close-and-personal and educational experience visiting the park. 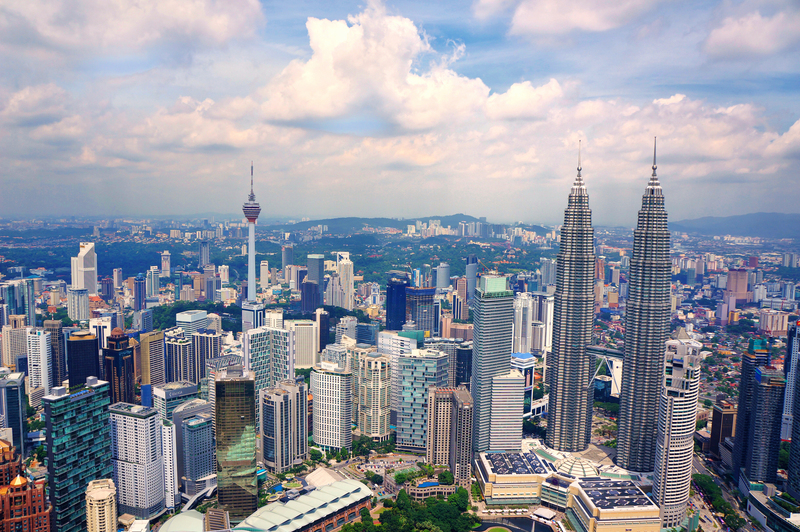 Kuala Lumpur, while only a small part of Malaysia, highlights some of Malaysia’s best and most unique blends of culture, food and entertainment. I extend my sentiment to the whole of Asia. It is truly a great city and offers a glimpse of what the rest of the country has to offer. What are you waiting for? Kuala Lumpur awaits.